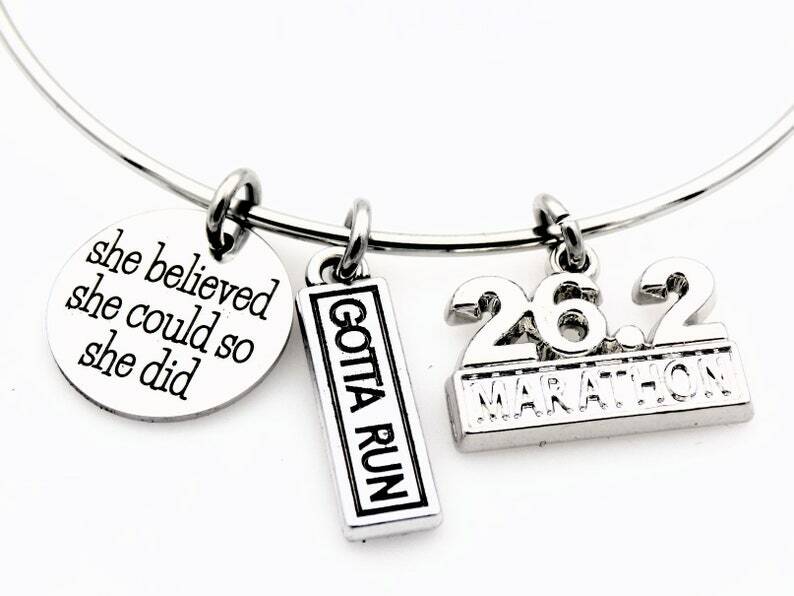 This bangle Bracelet makes the perfect gift for anyone who loves to run. You can choose the 13.1 or 26.2 charm. ·Laser Engraved charm is 5/8" in size.